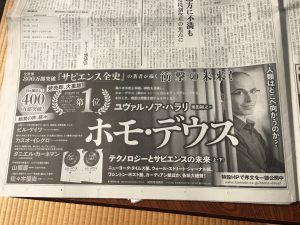 Homo Deus by Yuval Noah Harari was released in Japan. 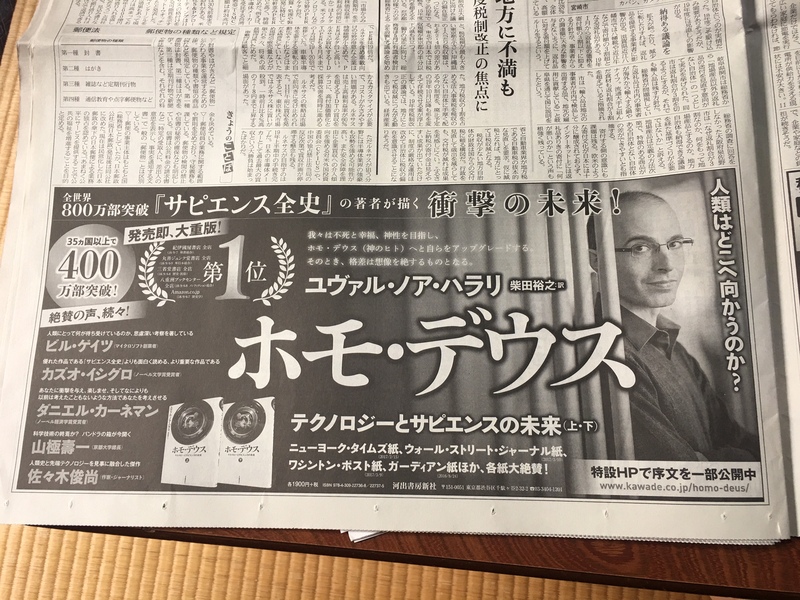 The ad photo is from the Nikkei newspaper, so I guess it will go on the Best Selling books soon. I decided not to read it.